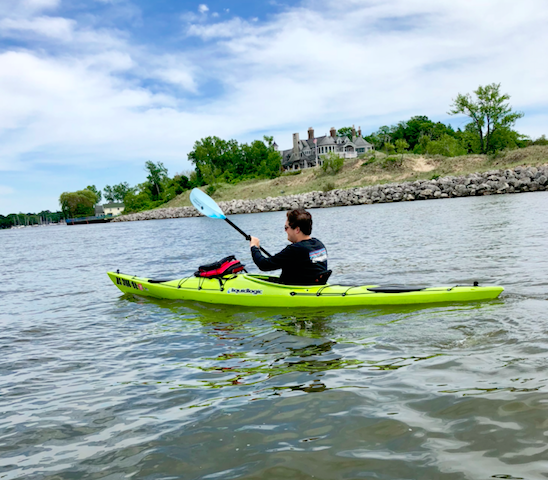 Kayak Lake Macatawa on the shores of Holland, MI! Our Marvel series kayak are the perfect kayaks for all day paddling. The most beautiful and natural scenery in Holland can only be seen from the water and seeing it while kayaking is a great way to do it. Our kayaks are some of the best recreational kayaks available. They have one of the most comfortable seats out there and a dry storage hatch to keep all of your belongings from getting wet. The kayaks offer great glide speed and enough stability even for the most beginner kayaker. We have both single and tandem kayaks. Professional instruction and information about the best places to go. Sandals and shoes if planning on paddling across the bay to the state park to hike the awesome trails and view the expansive overlooks.